When it comes to bringing home the instrument that will make your music soar, nothing but the very best will do. That's why at R. KASSMAN, we've spent over 40 years offering the most expansive selection imaginable of quality pianos to our fellow musicians living and performing throughout the Bay area and beyond. From the uniquely superior quality of a Grotrian, to the incomparable tone of a Steingraeber, to the universally renowned perfection of a Baldwin – and many more – our collection offers instruments of unparalleled historic and musical significance, positioned to fit every budget. Quality is a matter of exclusivity and perfection, and at R. KASSMAN we offer both. 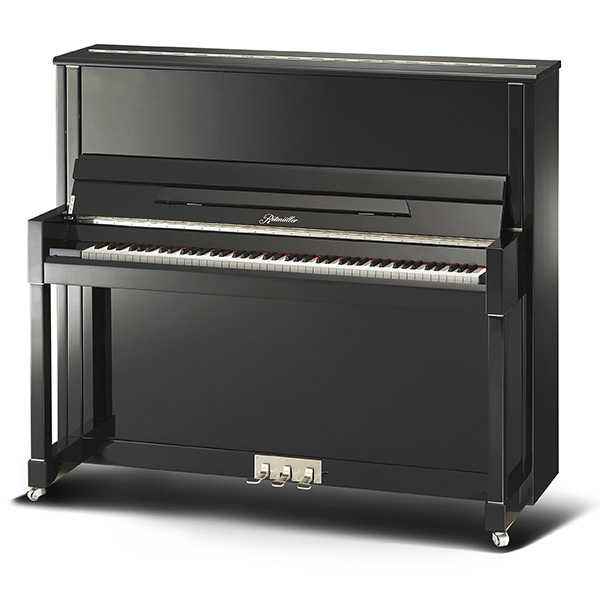 Feel free to make your appointment today and reveal our unrivaled selection of investment quality pianos. Widely regarded as the paragon of piano makers, Steingraeber & Söhne has been crafting the finest pianos in the world for nearly 200 years. Working out of their workshop in Bavaria, the expert craftsmen at Steingraeber & Söhne are overseen by Udo Steingraeber, who represents the family's sixth generation. 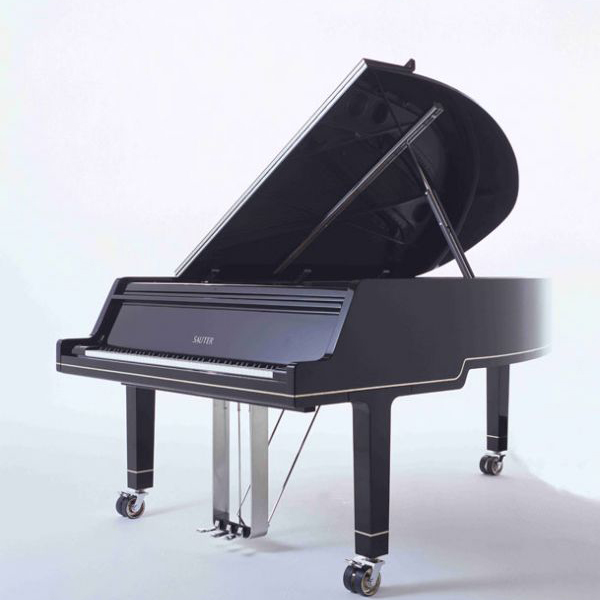 The recipient of numerous international awards, the company maintains a practice of using only the highest quality parts and materials in the creation of every instrument they produce, and represents the paradigm in piano craftsmanship, which has been the foundation of its operation since the very beginning. 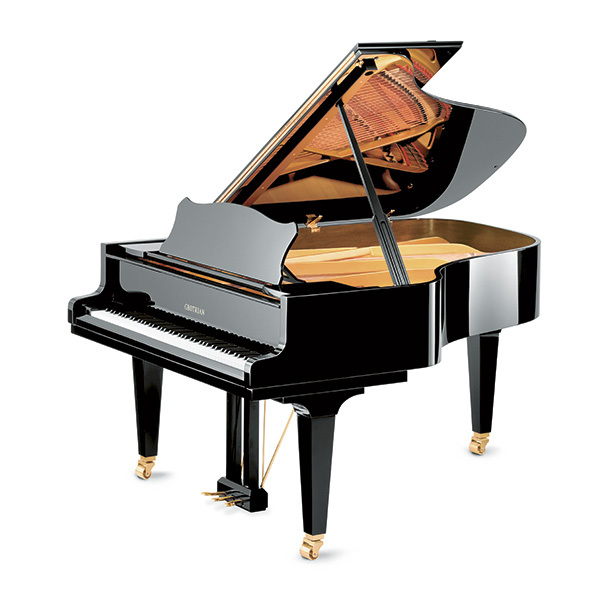 The Steingraeber & Söhne hallmark is nothing short of perfection, and for the true piano connoisseur there is no rival. 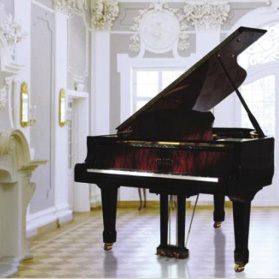 For more than 150 years, German manufacturer Grotrian-Steinweg has been known for its dedication to pushing the forefront of piano innovation – and not only in terms of their own instruments, but for the craft as a whole. The Grotrian-Steinweg piano factory was built by Heinrich Engelhard Steinweg (later known as Henry Steinway after his emigration to the US where he founded Steinway & Sons) and Friedrich Grotrian. 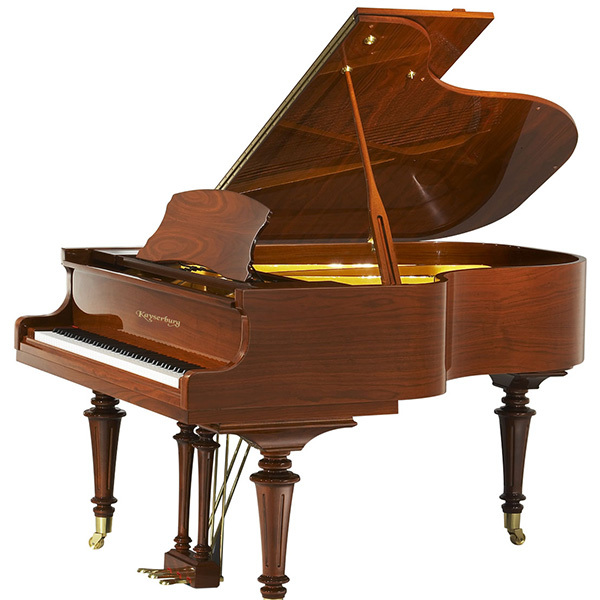 The Grotrian company is celebrated in the industry for fundamentally changing how pianos were constructed. 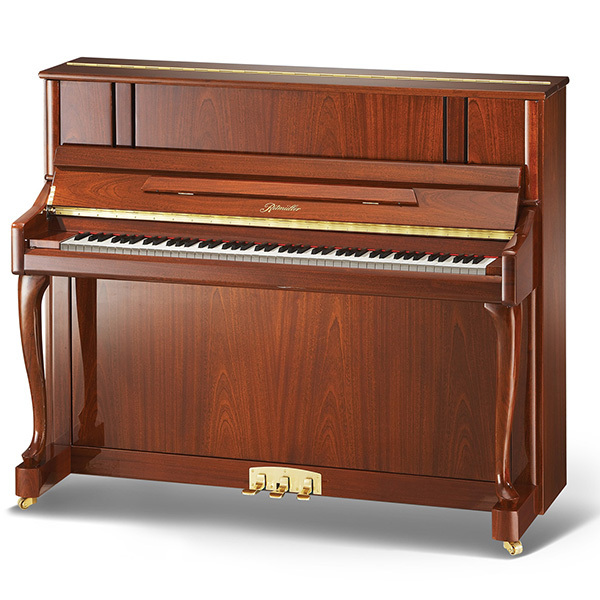 From developing the first precise scale design, to the homogenous soundboard, to the star-shaped back construction, to the legendary upright model 120, Grotrian is regarded as a leading pioneer in the field of piano design and construction. Perhaps their most exciting innovation was the Grotrian Duo, which bridges two grand pianos under a single lid for dual or solo performance. This piano maker offers a fascinating history. Pianos have been built in the little nation of Estonia for roughly 200 years, but the company itself wasn't founded until 1893 by Ernst Hiis. When the Soviet Union annexed the country in 1940, the country was required to make a gift to Stalin – a handmade grand from Hiis. The dictator fell in love with the instrument, and gave Hiis a factory in which all Estonian piano production was consolidated. After the Berlin Wall fell and the country regained its independence, the factory was purchased by 130 employees. But the story doesn't end there. Shortly thereafter, a talented Julliard student Dr. Indrek Laul began taking steps to acquire the company. With the earnings from each record he released or performance he held, he gradually bought-out Estonia stockholders until he became the sole owner. From there it became a family endeavor, with his choirmaster father in charge of quality control at the factory and his mother tasked with testing each and every piano before going to market. 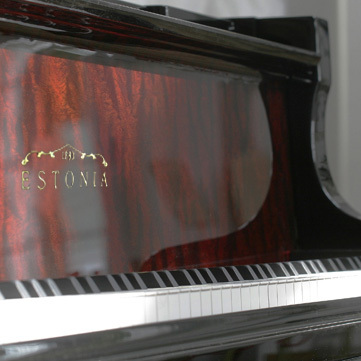 Known for their singular tone and outstanding design, Estonia pianos – much like the company's history – are unique unto themselves. More has emerged from Germany's Black Forest than just fairytales. For the past 200 years, handmade perfection has stood as the hallmark for the family-owned maker Sauter – the oldest piano manufacturer that is still owned by the founder's family. 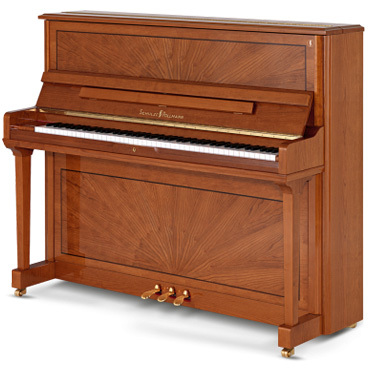 Legendary for crafting instruments that feature unique cabinetry and a warm, bell-like sound, Sauter pianos are virtually unmatched in performance capability. 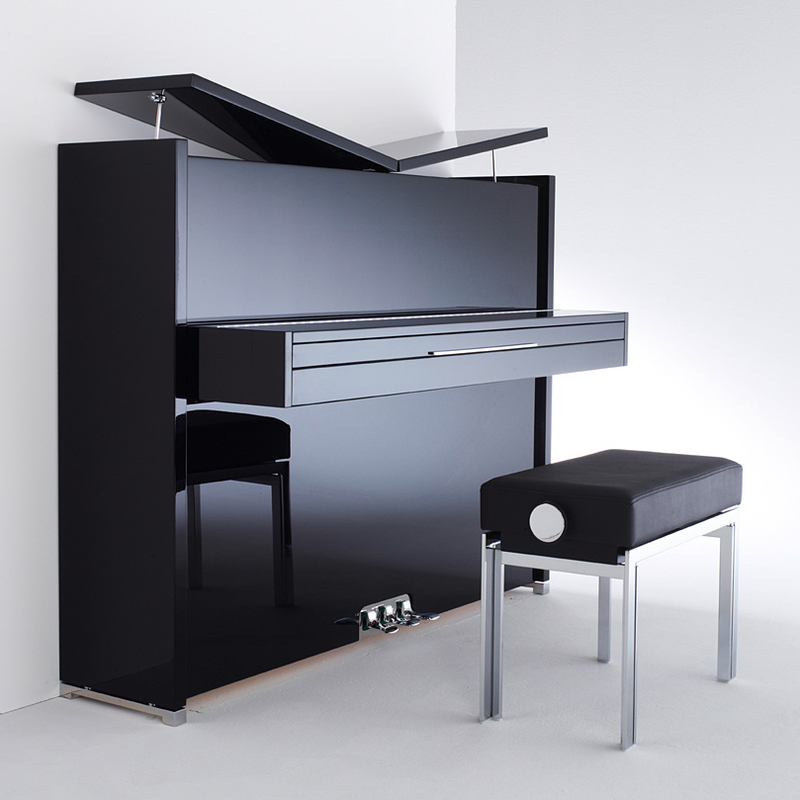 While the company is renowned for creating traditional pianos of exquisite beauty, it has also released a highly exclusive line of pianos developed by the internationally-celebrated designer Peter Maly. 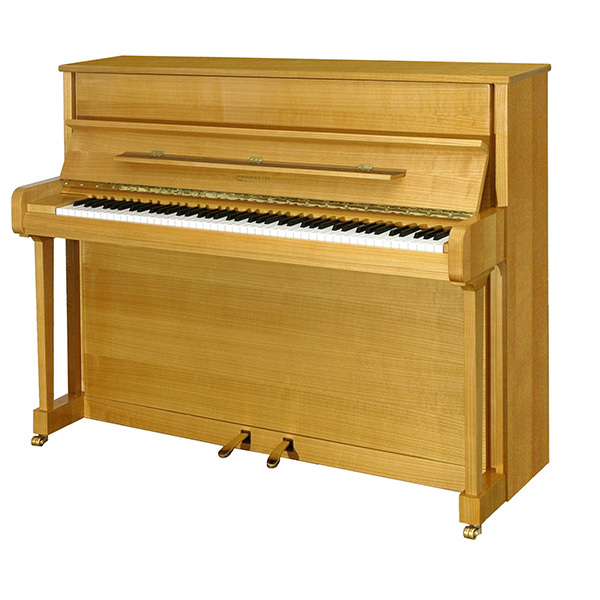 Upright pianos from Sauter are widely-regarded as the best in the world, capable of outperforming any grand under 6'. 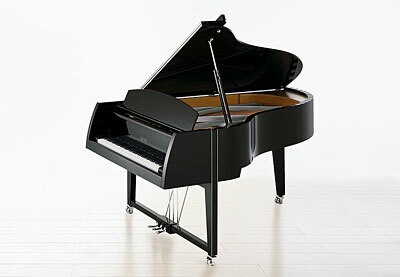 For the true piano cognoscente, playing on a Sauter is the experience of a lifetime. 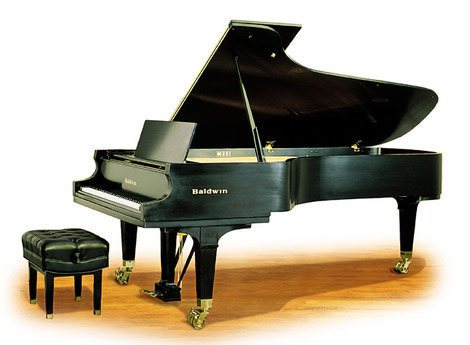 Among the most popular and widely played pianos in the world are those crafted by Baldwin. 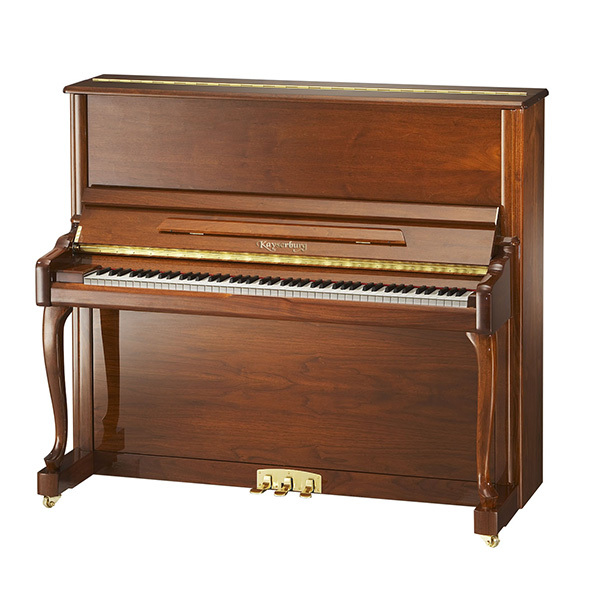 Created by Cincinnati-based piano teacher Dwight Hamilton Baldwin in the late 1800's, the company was formed with the intention of building "the best piano that could be built", and there are many performers who would say that Baldwin succeeded. 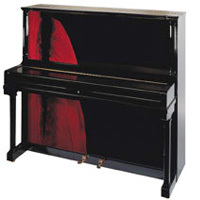 When the company first launched there were questions about whether or not it could compete with the firmly established German producers, but all reservations were swept away in 1900 when Baldwin won the Grand Prix at the Exposition Universelle in Paris, making it the first American piano manufacturer to win the award. 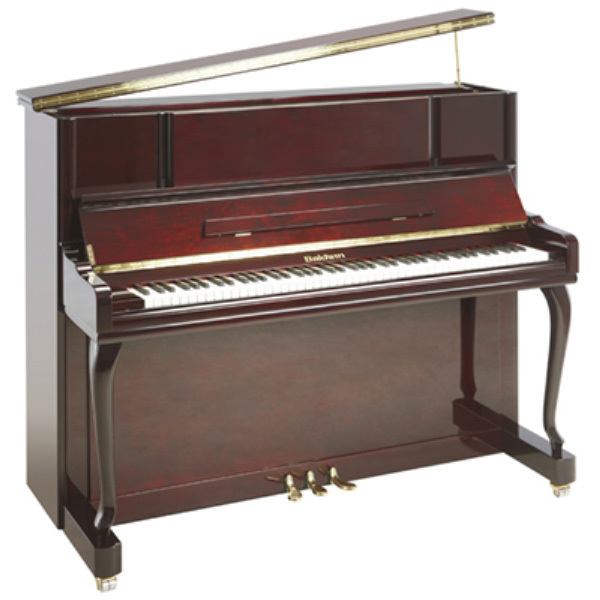 In 1965, the company began producing its B243 and B247 models, which have become the most popular pianos in the world and remain a company stalwart to this day. 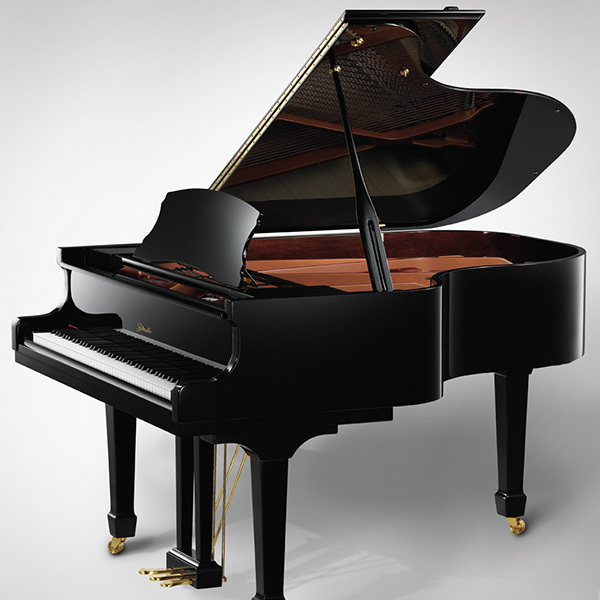 Many of the biggest names in music prefer Baldwin pianos, such as Leonard Bernstein, Philip Glass, Igor Stravinsky, John Williams, Ray Charles, Stephen Soundheim, Lady Gaga and Dave Brubeck. 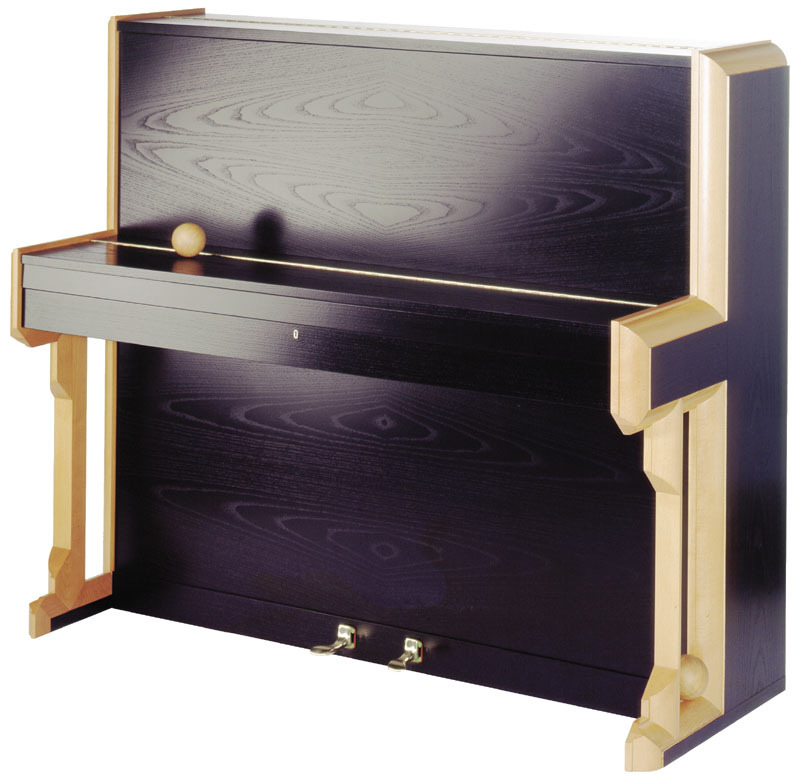 Located in the small Italian Republic of San Marino, piano maker Schulze Pollman is renowned for fusing the durability and rich tone of German piano workmanship with the elegance of traditional Italian design. 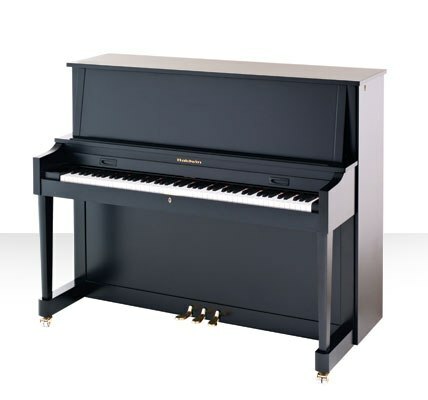 Schulze-Pollman is in fact the only Italian manufacturer of upright pianos, a distinction that makes its high-quality, limited-release instruments difficult to find, but an exclusive thrill to play. 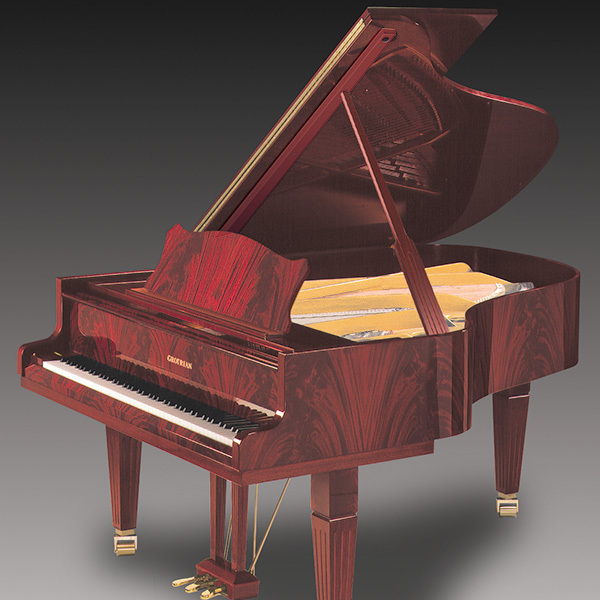 Schulze-Pollman pianos truly reflect the finest characteristics of old world instrument craftsmanship. 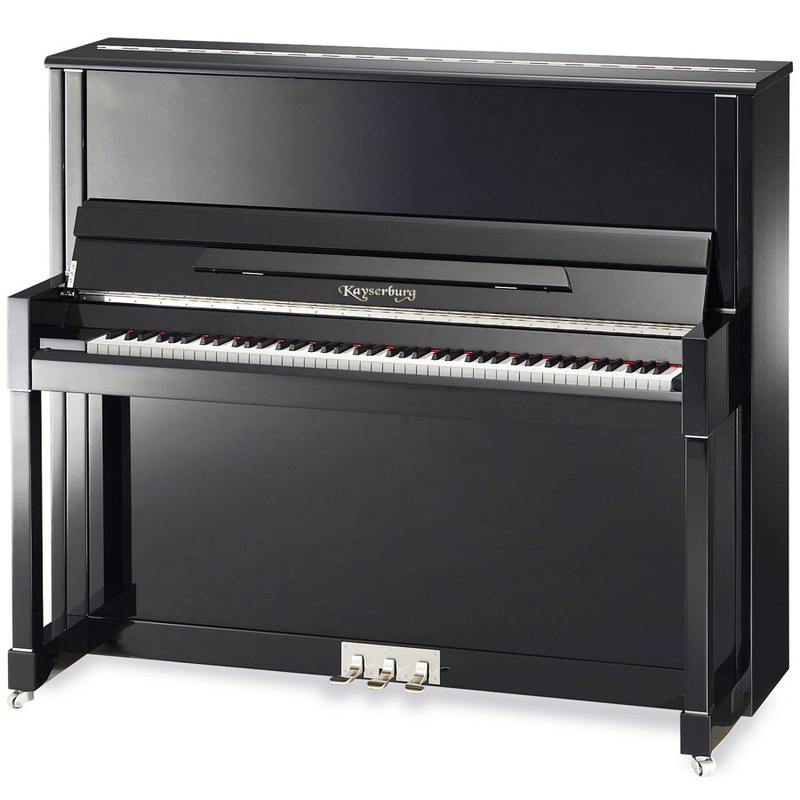 Developed by the illustrious Swiss piano designer Lothar Thomma – who had previously designed pianos for the renowned producers Steingraeber and Bechstein – Kayserburg pianos are crafted with an unparalleled attention to detail, setting a new standard among piano aficionados by offering handmade, European quality sound and performance at a fraction of the price of their competitors from Germany. Working within the German guild system, Thomma built a team of specially trained master craftsmen who work painstakingly to uphold the highest echelon in quality. 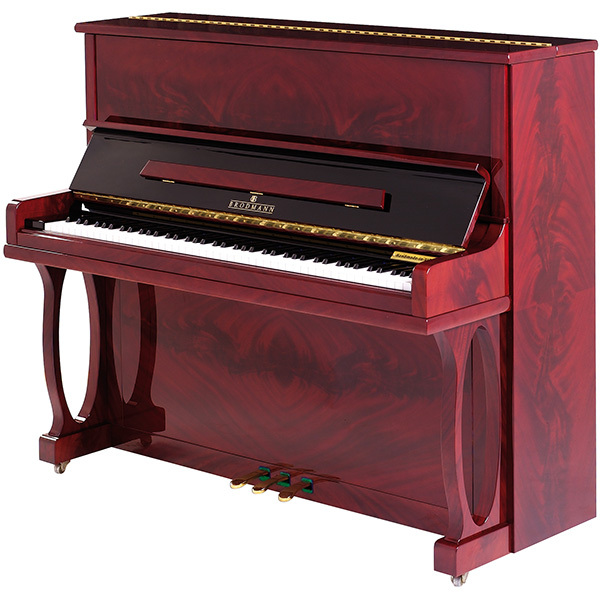 Using primarily German parts designed entirely by Thomma himself, Kayserburg pianos offer old-world, European sound at a value that is unrivaled. 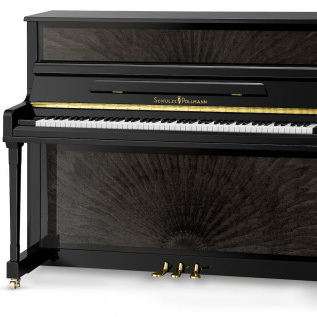 For more than 200 years, the Austrian piano maker Brodmann has stood at the forefront of piano technology and design innovation. 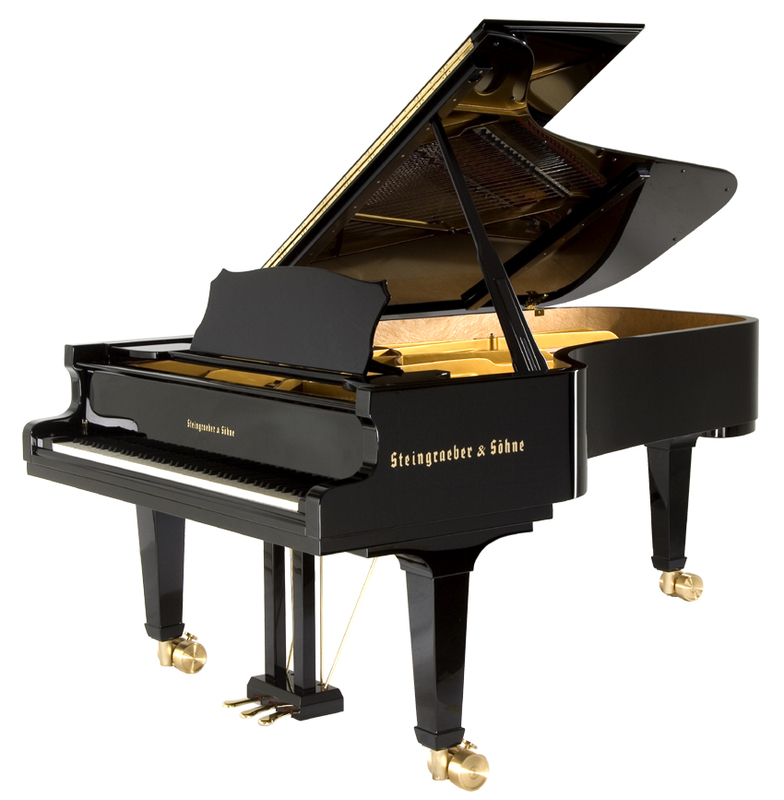 Founded by Joseph Brodmann, the company has enjoyed the patronage of many of history's most renowned pianists thanks to a combination of the beauty and responsiveness of each instrument they produce. 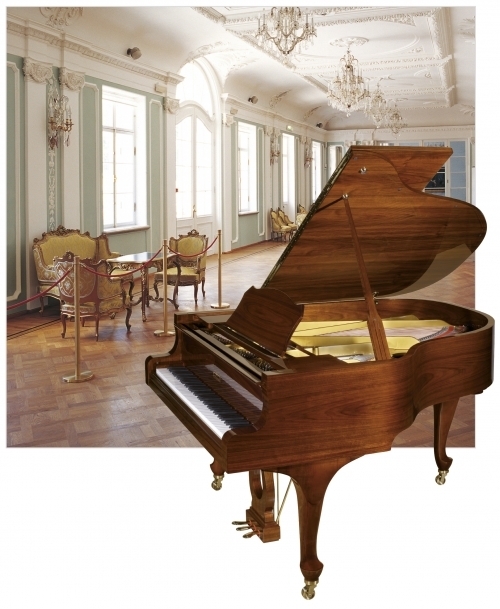 In 1828, the company was taken over by Brodmann's young apprentice, Ignaz Bösendorfer, who began producing the highly acclaimed Bösendorfer line of pianos and continued to uphold his mentor's commitment to excellence. 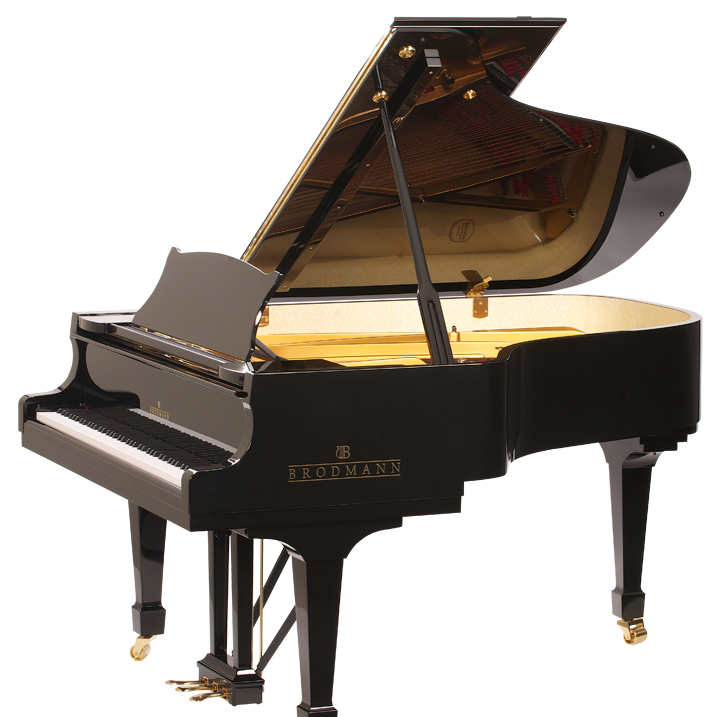 Today, Brodmann pianos are known for their singing tone, quality, and value. 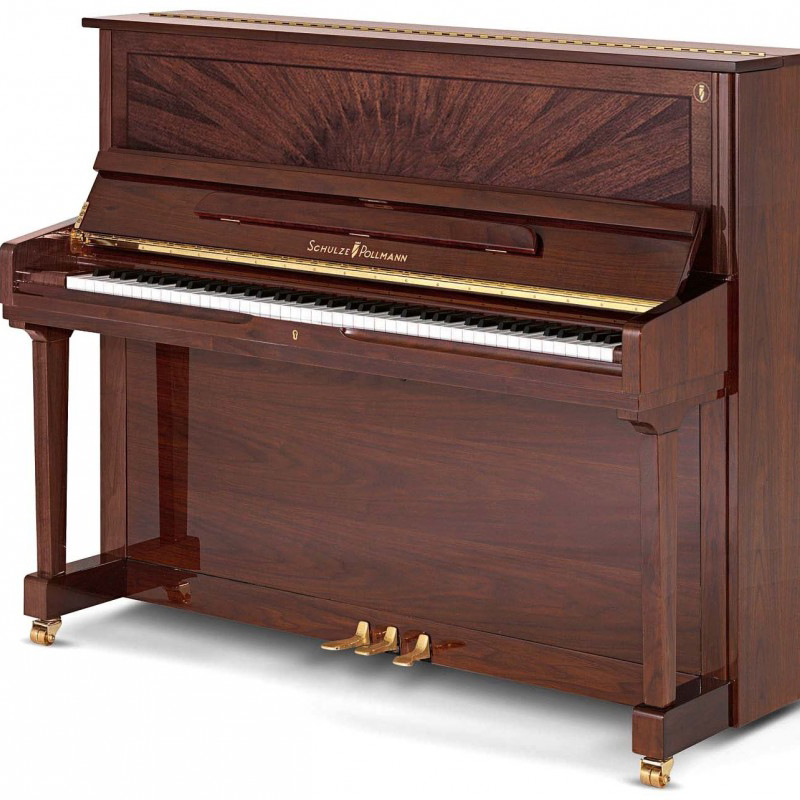 And while these pianos are a testament to craftsmanship, it is also important to mention that Brodmanns are an affordable luxury priced to suit a range of budgets. As one of the first piano factories in Germany, Ritmüller literally set the tone for almost all piano makers that followed when it created a double soundboard that was responsible for bringing about a warm, rich timbre that is known today as the "special European sound". The company's commitment to craftsmanship has been unflagging over the past 200 years. Modern Ritmüllers are designed by the renowned Swiss designer Lothar Thomma, who blends old world craftsmanship with the accuracy of modern computerized manufacturing to produce instruments of remarkable responsiveness and sound quality. As a testament to the perfection of Ritmüller pianos, the internationally acclaimed performance venue Freight and Salvage recently equipped its new multi-million dollar theater in Berkley with a Ritmüller 212, selected by Grammy nominee and Bammy award winning pianist Barbara Higbie. Providing a warmth and depth of tone that is unrivaled by other value producers, Ritmüller offers the richness of German sound at an affordable price-point.